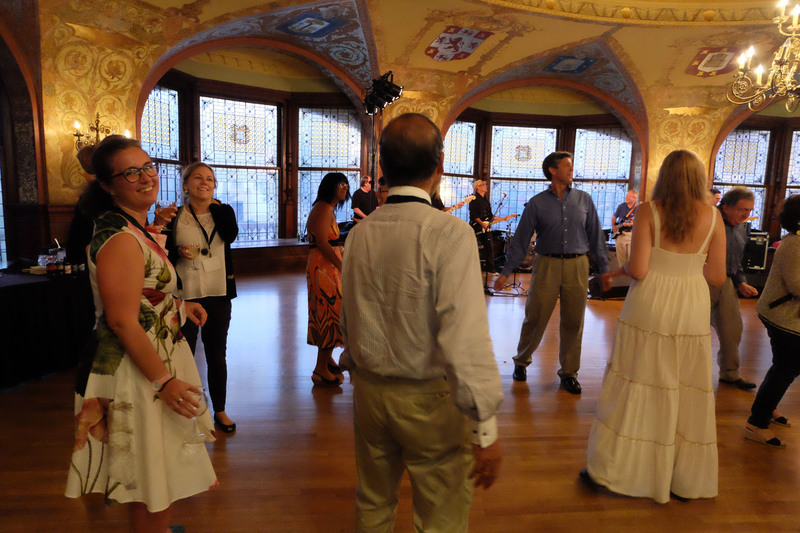 Following the 2012 conference in Sao Paulo, Brazil, the 16th biennial International Planning History Society (IPHS) conference was held in tropical St. Augustine last week, with the splendid campus of Flagler College providing the setting for the 3-day event. In addition to an entire session devoted to “International Exchanges and the Development of Planning” chaired by Steven Ward (Oxford Brookes University) and including the following speakers and presentations: Jose Geraldo Simoes Junior (Mackenzie University) “International Exchanges in the Beginning of the Modern Urbanism: The ‘Relevance of the First Conferences and Expositions of Urbanism Held in Europe and the United States, 1910-1913’”, Nuray Ozaslan (Anadolu University)“The Idea of ‘International’ and Local Planning Actors for the Development of Istanbul in the 1950s”, Shira Wilkof (University of California, Berkeley)“From Europe to Palestine and Back: Transnational Planners and the Emergence of Israeli Planning Thought”, Noah Hysler Rubin (Bezalel Academy of Art and Design, Jerusalem) “Planning Palestine: British and Zionist Plans”, Haiyi Yu, Fang Xu and Hua Wen, (North China University of Technology) “Learning Foreign Experiences and Building Local Systems: Duality of Modern Chinese Urban Planning History”, many of the other sessions included papers with transnational themes. Amongst these papers, there was a focus on examples from India. 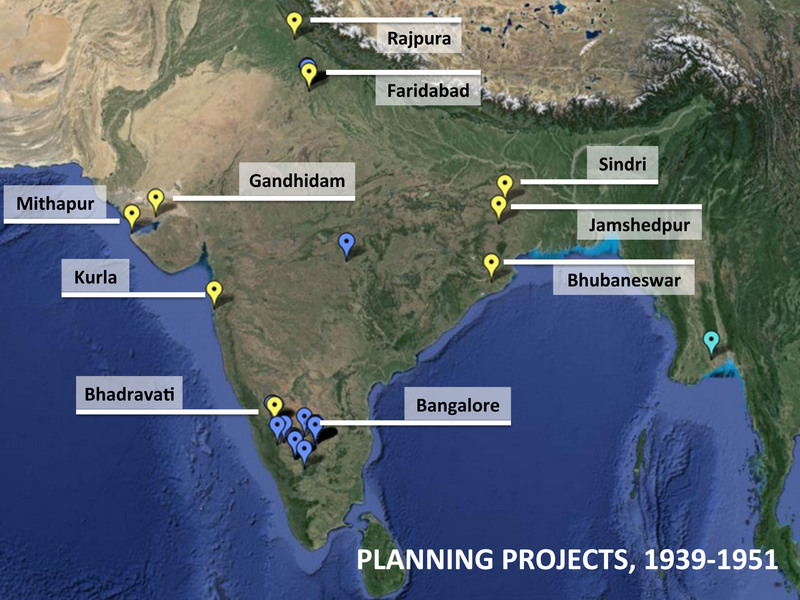 Kristin Larsen and Laurel Harbin (University of Florida) studied Albert Mayer’s influence with their paper “American Regionalism in India: How Lessons from the New Deal Greenbelt Town Program Translated to Post-World War II India”, Rachel Lee (Technical University, Berlin) concentrated on Otto Koenigsberger in “From Static Master Plans to ‘Elastic Planning’ and Participation: Otto Koenigsberger’s Planning Work in India (1939-1951)” and Ray Bromley (University at Albany – SUNY) presented a paper on “Patrick Geddes’s Plan of Indore: The Inside Story”. Another geographical zone of transnational planning interest was sub-Saharan Africa, with papers by Tiago Castela (University of Coimbra) “Peripheries in a History of Urban Futures: Planning for the Government of Informal Spaces in Late Colonial Mozambique” and Rachel Lee (Technical University, Berlin) “Beyond East-West: GDR Development Planning Transfer – from Oil Presses in Ghana to the Master Plan for Abuja”. Examples of transnational planning from China included a paper titled “Richard Paulick and the Import of Modernism in China” by Li Hou (Tongji University), and Benyan Jiang and Masaki Fujikawa (University of Tsukuba) investigated the German and Japanese influences on green spaces in Qingdao – “Conflicts and Continuity: The Development of Green Spaces in Qingdao, China (1898-1945)”. After 3 intense days of papers and roundtables, the IPHS conference went out with a bang with an “after party”, with music provided by the conference organiser Christopher Silver’s (University of Florida) rock band In Crisis. As well as the great papers and partying, thanks to Planning Perspectives editor Michael Hebbert (University College London), I was delighted to find a copy of the Appendix to the Volta River Project Report at Anastasia Books, St. Augustine. 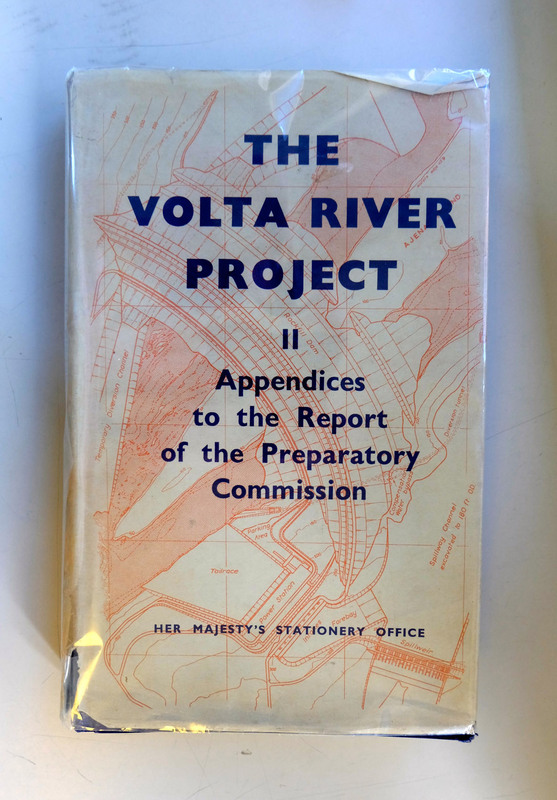 The Volta River Project provided the impetus for several transnational UN planning missions to Ghana (formerly Gold Coast) with team members including Albert Mayer and Otto Koenigsberger. The abstracts of the abovementioned papers can be downloaded from the IPHS conference website http://iphs2014.dcp.ufl.edu/documents/Abstracts-IPHS2014.pdf and a revised version of the conference proceedings will be online soon. 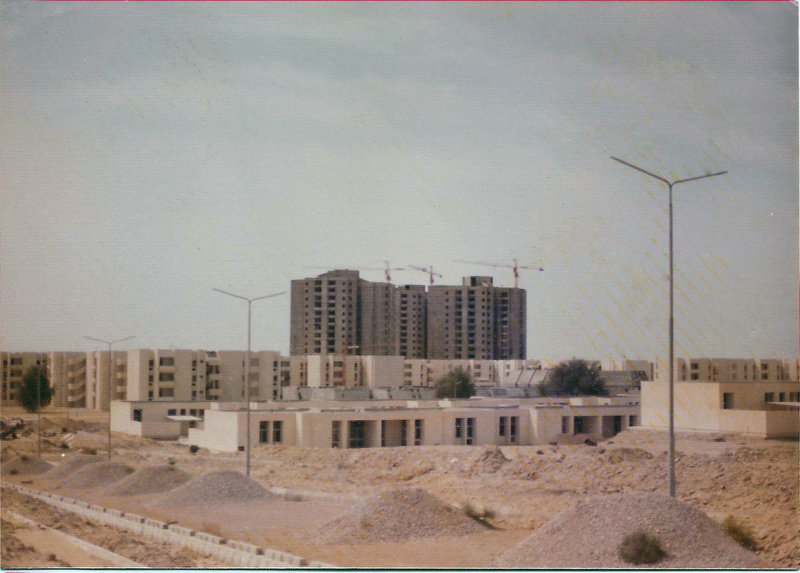 Contemporary Architecture in East Africa: An Empire of Good Practice[i] or Shadows of Neocolonialism? The expression of individual and collective black identity flourishes in various diverse cultural endeavors. Architecture seems to have been circumvented by this program of intense cultural expression; one wonders whether this is a result of a latent bias within the processes of architectural discourse or merely a time lag before an important and creative awakening. Throughout the mid to late twentieth century the former colonies in Africa were viewed as a fecund terrain, a creative test-bed for architects eager to “cut their teeth” on modernism. European architects practicing under the auspices of postcolonial religious and state powers, in a quasi-missionary capacity, built churches, schools, and cultural institutions. These have since become regarded as “powerful symbols and logical citadels” attesting to the “prestige of western knowledge.”[iii] A 2011 documentary entitled Build Something Modern captures this period in which architects working during the 1950s were inspired and eager to replicate the monumentality of Le Corbusier’s Chandigarh in India across East and West Africa. These architects referred to themselves as “card-carrying modernists” and regaled with frenzied zeal about the joys of being able to build nearly whatever one wanted at that time. 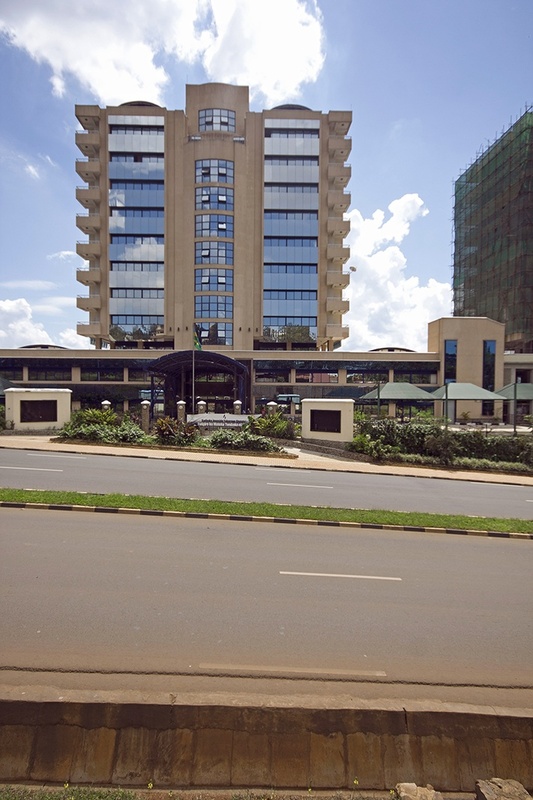 In 1946 the German architect Ernst May moved to East Africa, initially to work as a farmer, but then was drawn back into architectural practice in order to complete several large housing, educational, and master planning commissions across Kenya, Tanzania, and Uganda (notably a cultural master plan for Kampala), mainly for British clients and expatriates. 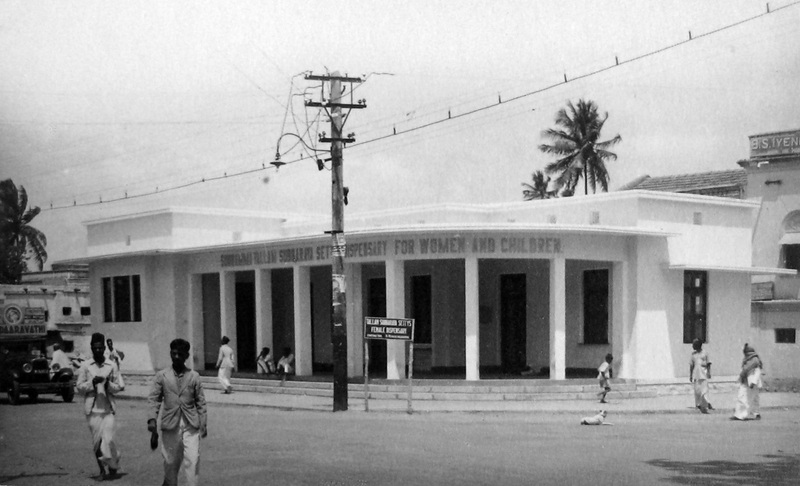 [v] However, it was actually with the work of the British architectural duo Maxwell Fry and Jane Drew in West Africa, some ten years earlier, following World War II (Fry and Drew worked on Chandigarh with Le Corbusier), that European modern architecture was transposed to Nigeria, Ghana, and Togo. This delicately revised modernism fuelled desires of these decolonized states to become first world countries and alluded to a superiority of Western architectural methods, particularly evident within Maxwell Fry’s abrasive comments on the impossibility of anything else. A Nigerian aesthetic? On what would it be based that is as solid as the plywood techniques, the old timber traditions of Finland? Dubbed “an Empire of good practice,”[vii] Fry and Drew’s work in West Africa forged the basis of teachings that became the Department of Tropical Architecture at the Architectural Association in London. This work of this period however, “fabricated a mythology”[viii] that architecture as a cultural artefact was somehow independent from political influences; the modern built environment across Africa was and since then has been irrevocably influenced by this period. Given that Maxwell Fry’s “Empire” is readily acknowledged for its limited ability to legitimize African modern architecture[xii] and that the majority of architectural NGOs from the West are still very much disseminating modernism within Africa, one has to ask whether any lessons have been learned. How can Western practice outrun the ghosts of the postcolonial and come closer to a modern African architecture? As interests between local governments, international NGOs, and architectural projects are inextricably intertwined, is this contemporary mode of practice simply the newest facet of neocolonialism? Quite simply it is the design in Western psychology to set Africa up as a foil to Europe, a place of negations at once remote and vaguely familiar in comparison with which Europe’s own state of spiritual grace will be manifest. As a Western architect in Africa, I feel perpetually tainted by the postcolonial legacy, the remnants of which obscure one’s ability to practice with clarity. Looking at recent projects, it is abundantly clear there is still relative freedom to experiment in (East) Africa. Considering that, in the past, Africans have “had little to say in response” to architecture, the question remains whether this wave of contemporary architecture has emerged from an engaged, local critical dialogue, or from one that remains entrenched in Western discourse. Much in the way that the modern movement heralded the promise of social improvements, the same ideology is very much at the root of humanitarian design and evident within today’s developmental lexicon. This is a lexicon with which one is constantly bound by the reality that interests are never truly neutral. 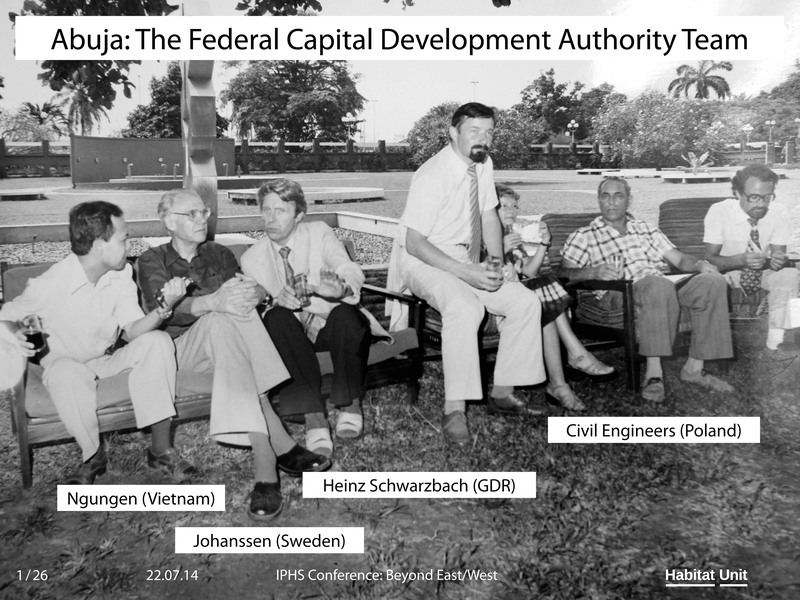 As such, we as architects might be accused of being fluent in NGO rhetoric, something that the urbanist Kai Vöckler calls “Donor Speak.”[xiv] Here, interventionist work does not emerge from a “neutral system of values,” but, in fact, “[its] goal is to align everything with the political aims of the donor” or stakeholders, who, more often than not, consist of a first-world audience. As culture becomes increasingly globalized, and African identity subsequently becomes more watered down, it is much harder to define the purpose and give clarity to one’s work within these muddied contexts. As such, the risks of running aground are greater as architecture, when done wrong, is incongruously invasive and culturally deleterious. With these complexities and constraints in mind, it can be difficult to dispel fears of neocolonialism. To dispel the legacy of the so-called superiority of Western architectural practices one must make an effort to engage in a more meaningful manner. 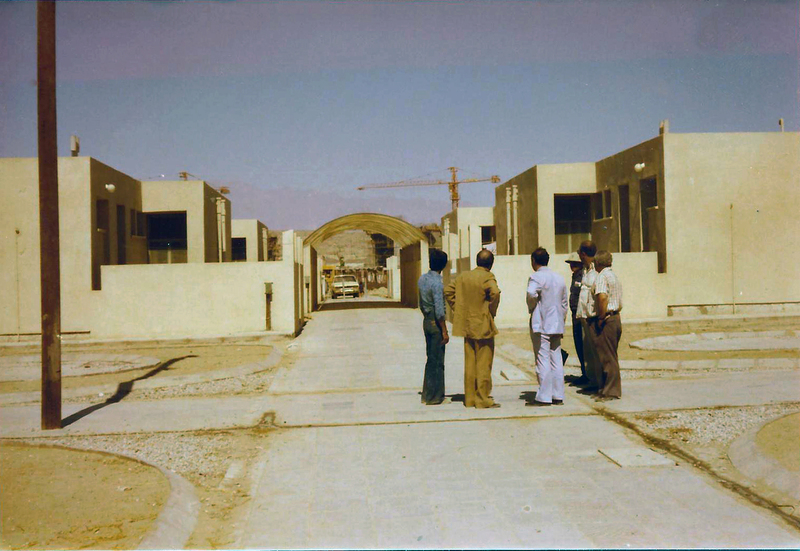 New architectural agendas, for instance, call for an attuned reflexivity toward the respective socioeconomic contexts in which they operate, yet still manage to deal with budgetary limitations and aesthetic, form-related inquiries into identity. Therefore, the approaches exhibited by new agendas of contemporary practice throughout Africa, in which the “application of universal principles to local conditions”[xviii] is no longer the dominant mode of thinking, are all the more critical. It is this era’s underwriting of service to society within architecture as a profession that sets it apart from the former, postcolonial Empires of good practice. 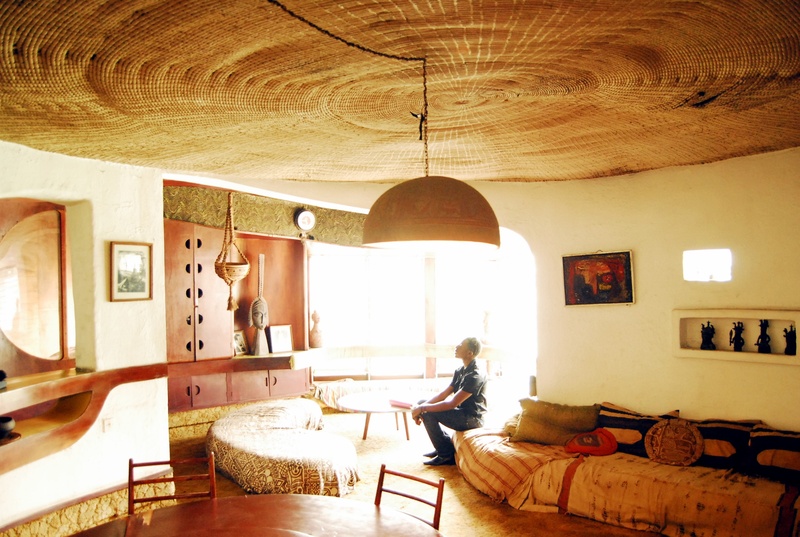 A forceful mode of practice that combats the legacies of colonialism impedes the threats of a globalized culture, but, most importantly, hopefully, stirs an elusive “creative awakening”[xix] in an emerging generation of African architects. 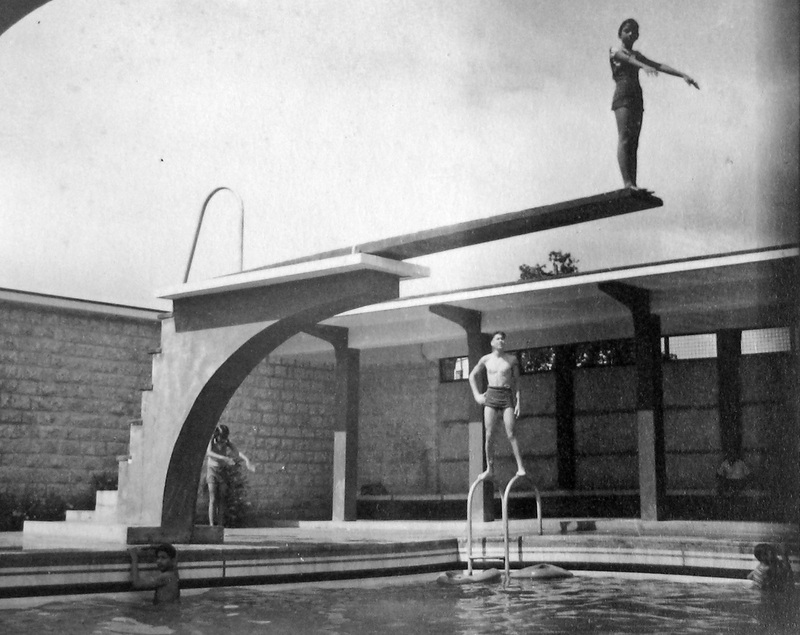 [i] R. Windsor Liscombe, “Modernism in Late Imperial British West Africa: The Work of Maxwell Fry and Jane Drew, 1946–56,” Journal of the Society of Architectural Historians 65, no. 2 (June 2006), pp.188–215. Taken from Maxwell Fry’s biographer. 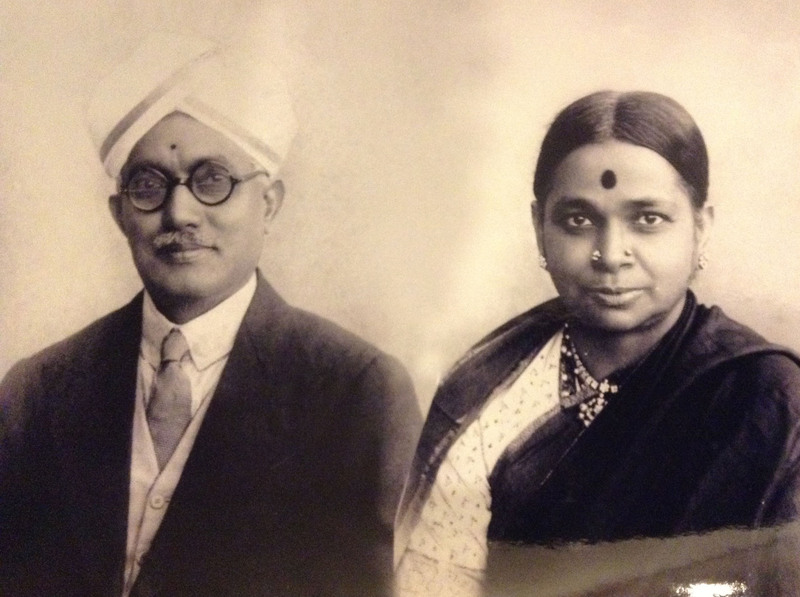 [iii] O. Uduku, “The Colonial Face of Educational Space,” in White Papers, Black Marks, ed. L. Lokko (London, 2000). 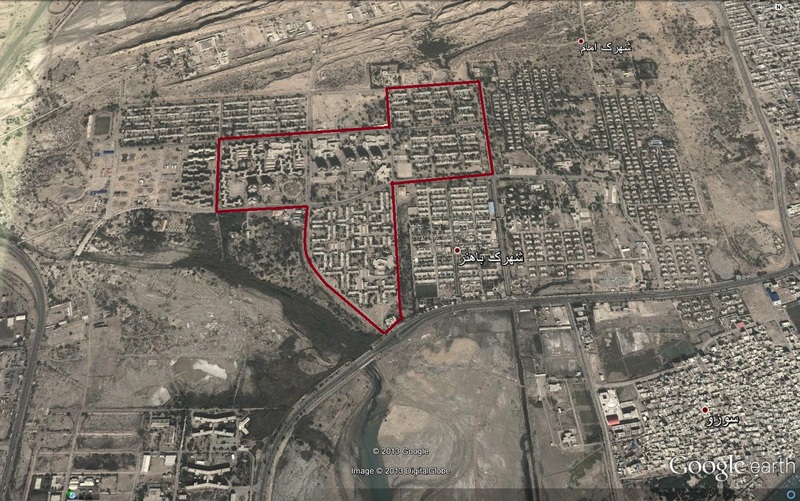 [iv] Nicky Gogan and Paul Rowley, Build Something Modern (Dublin, 2011), film, 70 min. [v] K. Gutschow, “Das Neue Afrika: Ernst May’s 1947 Kampala Plan as Cultural Program,” in Colonial Architecture and Urbanism in Africa: Intertwined and Contested Histories, ed. F. Demissle (London, 2009). [ix] The Kigali Conceptual masterplan, Rwanda. [x] Tatu City Masterplan, Kenya. [xi] At the Munich Architecture Museum. [xiii] C. Achebe, “An Image of Africa,” Research in African Literatures 9, no. 1, Special Issue on Literary Criticism. (Spring 1978), pp. 1–15. [xiv] K. Vöckler, Volume issue 4 (2010). [xv] F. Jameson, “Is Space Political?,” in Rethinking Architecture, ed. N. Leach et al. (London, 1997). [xvii] N. Leach, “Belonging: Towards a Theory of Identification with Place,” Prospecta 33 (2002), pp. 126–33; and “‘Belonging,’ London: Postcolonial City,” AA Files 49 (2003), pp. 76–82. [xix] E. Ihejirika, “Identity as Intensive Continuity,” in White Papers, Black Marks, ed. L. Lokko (London, 2000). This post appears in full in the catalogue accompanying the forthcoming exhibition ‘Afritecture – Building Social Change’ to be held at Munich Architecture Museum, 14 September 2013 to 12 January 2014. 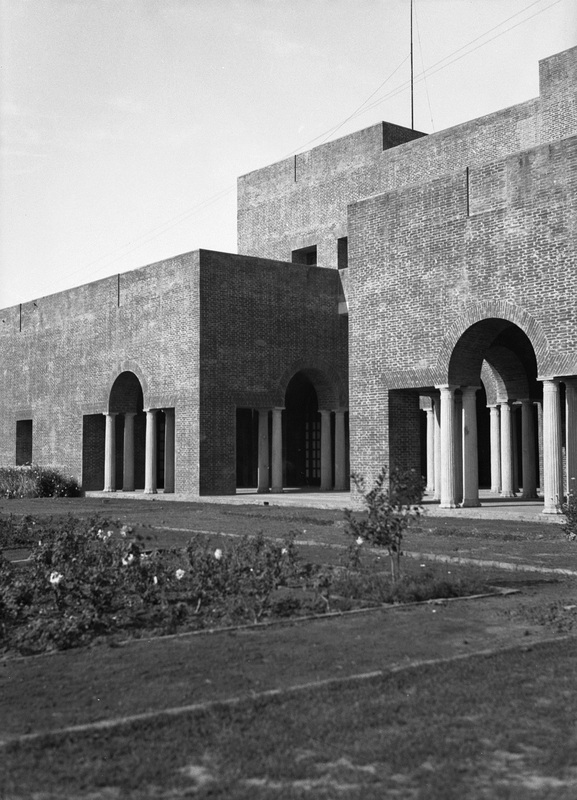 Main entrance (left) and South façade, showing loggias (right), Kashmir House, Prithviraj Road, Delhi (1927-29). Photographed by Penelope Chetwode, c. 1931. 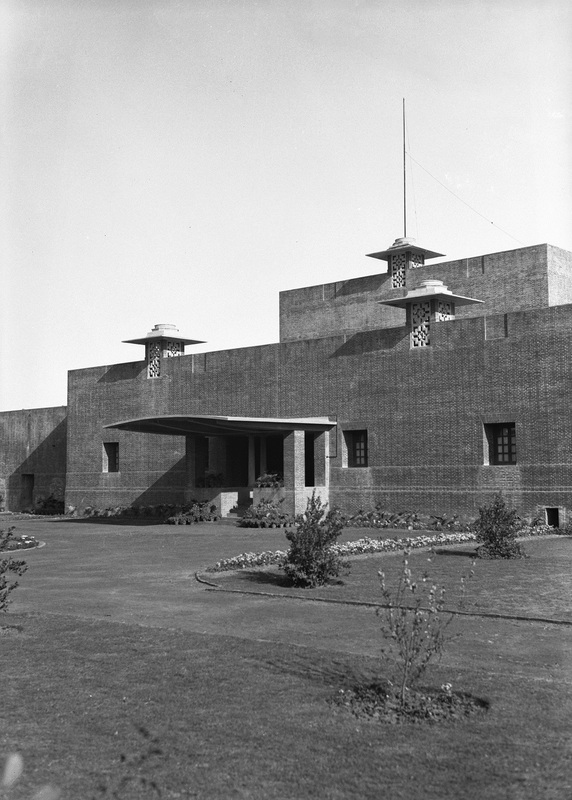 Designed by Walter Sykes George (1881-1962), with significant early input from Edwin Lutyens, Kashmir House is one of Delhi’s most engaging inter-war private residences. The house was designed for a wealthy Hindu banker, Sultan Sing, but his untimely death before the project was completed resulted in it being sold to the maharajah of Patiala, and later to the state of Kashmir. 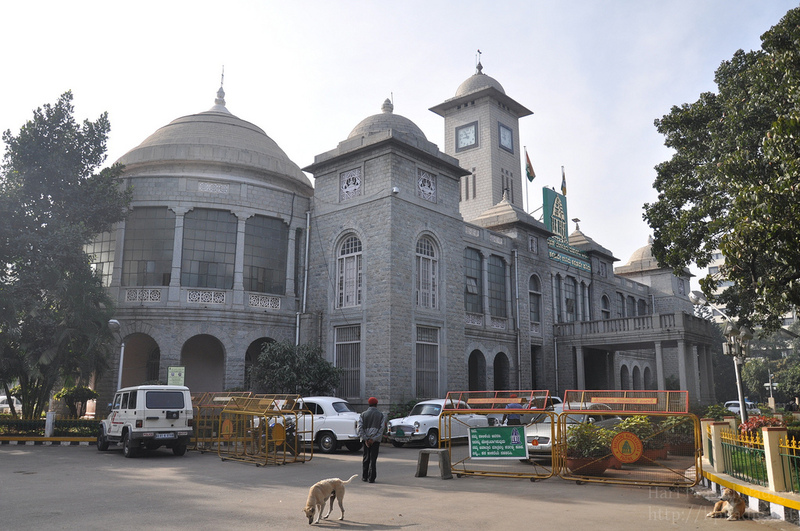 The building is a fascinating hybrid of Indian and western traditions. Almost all the important rooms are located on the ground floor – only bedrooms are upstairs. 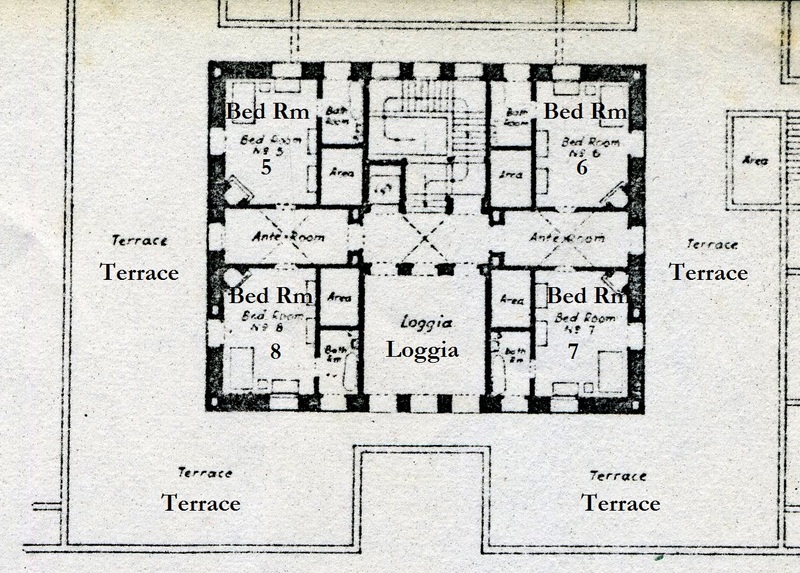 The space is laid out around an enclosed courtyard with open loggias to the south. A ground-floor corridor runs the entire length of the house, connecting the ‘western’ and ‘orthodox’ dining rooms, the smaller dining room, the drawing room, some of the bedrooms, and the main west entrance. In an effort to keep different kinds of foods separate – meat especially – the ‘Hindu’ and ‘English’ kitchens are in completely separate wings, though communication is possible between the two dining rooms, when required. There is also a Puja room for daily worship, and segregated entrances allow a more private entrance for the family and their servants, in contrast the more public porch or the trio of loggias, which open onto a garden. 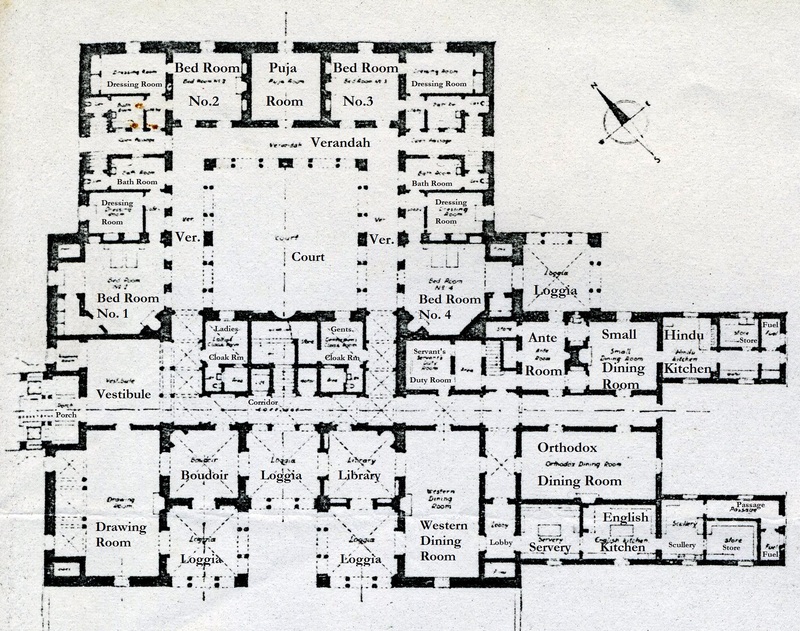 Floor plans (with new labels superimposed), Kashmir House, Delhi. Originally published in Walter George, ‘The Architecture of Walter George’, Design (Bombay) (Sept., 1960), p. 21. Kashmir House still exists, though much altered. With Sing’s death went the opportunity to use the building’s plan as originally intended. 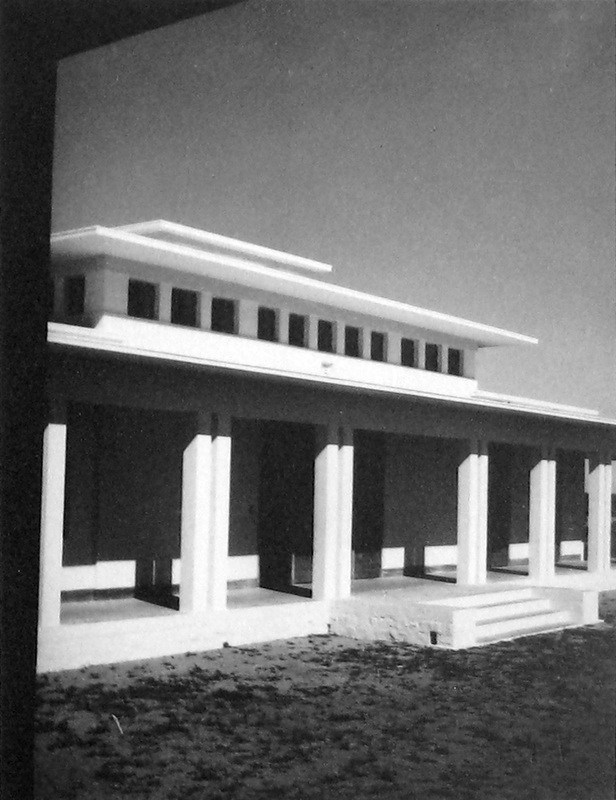 More information on the architecture of Walter George can be found in Richard Butler, ‘The Anglo-Indian architect Walter Sykes George (1881-1962): a Modernist follower of Lutyens’, Architectural History, vol. 55 (2012), pp. 237-68. All images reproduced courtesy of Professor Gavin Stamp (original Chetwode photographs now kept by RIBA, London). The following extract is from a private letter written by the architect, planner and educator Otto Koenigsberger (1908-1999) to his family in 1940. He probably typed it in his small room in the bungalow he shared with the Brinitzer family at 42 Infantry Road, Bangalore, India. Like the Brinitzers, Koenigsberger, a native Berliner with a Jewish background, was in exile. 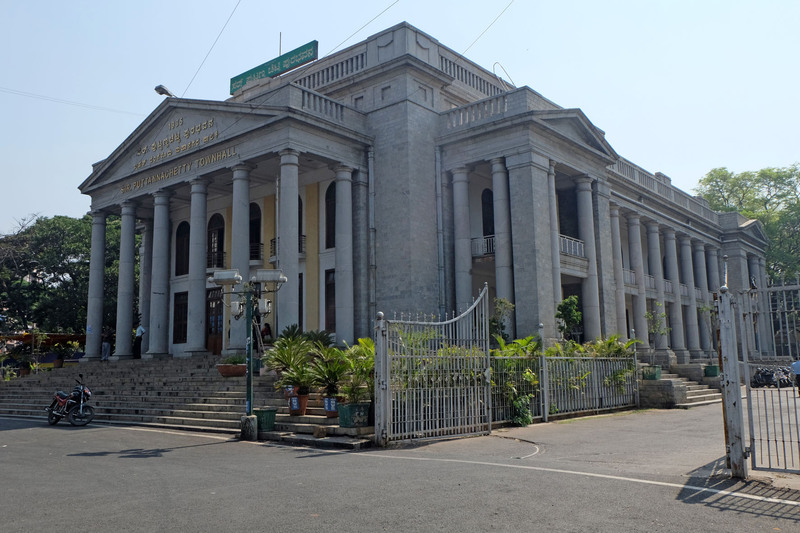 Due to a fortuitous family connection, in 1939 Koenigsberger had been contracted to work as an architect in Princely Mysore, a South Indian state with a limited amount of independence from British colonial rule. 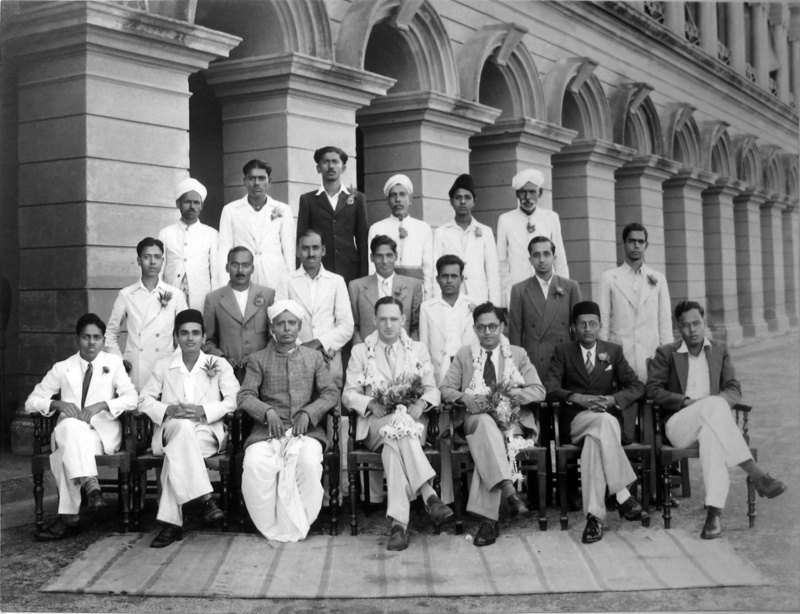 Thus his boss was not a member of the British Raj, but the ambitious Dewan (Prime Minister) Mirza Ismail, whose favourite pastime was building. In November 1939 Koenigsberger was promoted to Government Architect, the highest position for an architect in the state. As the humorous extract reveals, although his job kept him very busy, it did not prevent Koenigsberger from trying to build up a private practice or enjoying himself in his new home . . .
“I shall give you a short review of one day in the life of the Government Architect to the Govt. of H.H. the Maharaja of Mysore. My boy appears at 6:30 am in my room in order to wake me up. This has the result that I go on sleeping till quarter to or quarter past seven. Which of the two depends on the situation whether I must go and see the Dewan in his Bungalow or not. He belongs to those immorally hard working people whom I thoroughly dislike and has already one hour of hard work finished when I come to see him at 7:30. The next item is an enormous breakfast at 8 and instruction of my private draughtsman at 8:30 – Yes I have a private draughtsman and ‘secretary’. He is an Angloindian with the nice name Eric J. Crane, is rather shy, not too bright, and of course very unreliable. He comes for three hours in the morning and three in the afternoon and tries hard to learn how to do architectural drawings, so that I may be well armed and prepared when the great wave of private work comes of which I am daydreaming. 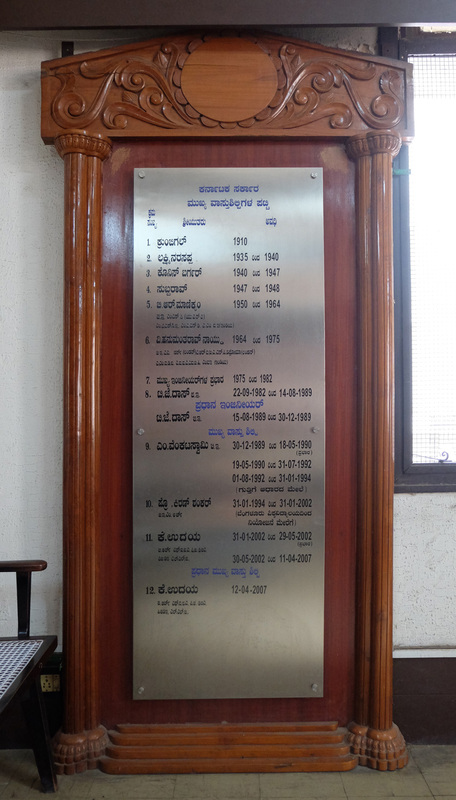 If there are no other inspections (on most days there are, my average is about 30 miles a day inside Bangalore only) I go to the office between 9 and 10 in order to have some quiet hours before my six men arrive at 11. The morning post brings about 5 to 6 requests for designs per day, say one hospital, one bungalow for an officer, one railway station, one cinema, and a number of smaller tasks and alterations. In addition comes a tray full of files, for all building plans, small or big must go through my hands before they can be sanctioned by Govt. In Europe I would have worked about a week to design a hospital and about another week or fortnight to prepare the drawings. Here the main idea and the sketch must be ready in ten to fifteen minutes and then the assistant or draftsman must prepare the plans within two to four days. Of-course these designs cannot be so well worked out as mine were at home. To keep up at least a certain standard of exactness and efficiency I must permanently go round from one to the other to correct the plans and to tell them what they must do. In the intervals between my wanderings from one drawing board to another I try to attend to my files, to answer letters, and to make a number of sketches and small plans which I can finish myself in less time than it would need to explain to somebody else how to do them. At 1:15pm I go home for lunch and for new instructions for my home-draftsman and back to the office at 2 or 2:15. The afternoon is usually filled with visitors who want all sorts of technical instructions or come discussing of new building schemes. Of-course only a very small percentage of our many designs will be built, and if they are it will take at least half a year or a year till they are started. 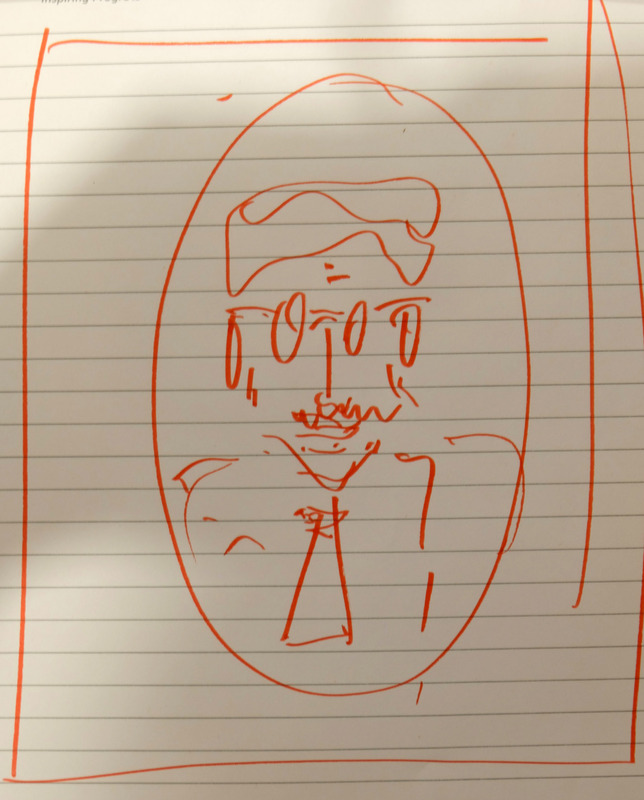 That gives the Dewan who plays the role of ‘Bauherr’ [client] in this game ample time to ask for new schemes and accordingly revised designs. Usually I am home at 6 in the afternoon. I sit down for a late but very big tea which usually takes about half an hour, not because I eat so much, but because I am just lazy and enjoy my rest. Every second day a Kanareese lesson follows from 6:45 to 8 or 8:15. If there is no lesson this time should be spent with learning what we had the day before, but so far I have always found an excuse not to learn so that the result of a fortnight of lessons with a very good teacher is very poor. Dinner is celebrated from 8:30 to 9:30 when we hear the news from England. As it usually is a very good and rich dinner you can imagine that there is not much energy left for letterwriting in the evening. Note: Although Koenigsberger’s native language was German, the outbreak of World War II forced him to communicate with his family, who were by then living in the USA and UK, in English – letters in German were censored or confiscated. The images are reproduced with the permission of the Koenigsberger family. Alan Vaughan-Richards House Main Living Room Interior, photo for Nigerian Interiors Magazine. The Alan Vaughan Richards archive project seeks to preserve, record and archive the works of the late British-Nigerian Architect, Alan Vaughan-Richards (1925-89). Its ultimate aim is to make available a digital and physical archive of Vaughan-Richards work to the public. This archive, comprising drawings, artefacts, and texts will be made accessible to the public to view online, or by visiting the renovated Alan Vaughan-Richards house in Ikoyi, Lagos. The Vaughan-Richards House, built by the architect in the 1960’s, is acknowledged as a unique example of West Africa tropical modernist architecture. 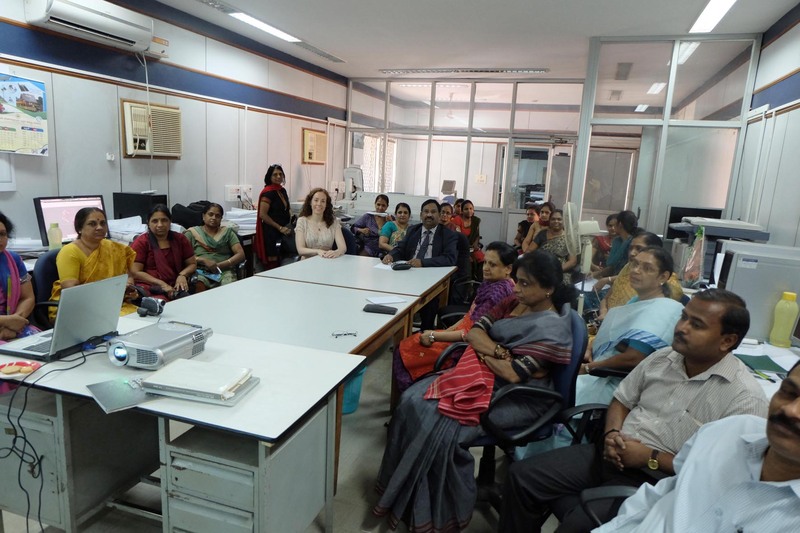 The archiving project is being funded by the British Academy with a further University of Edinburgh research grant held by Ola Uduku, at the University of Edinburgh, with Hannah Le Roux, at the University of the Witwatersrand, along with financial and logistical support from the Goethe Institute in Lagos and Remi Vaughan-Richards, Alan’s daughter. 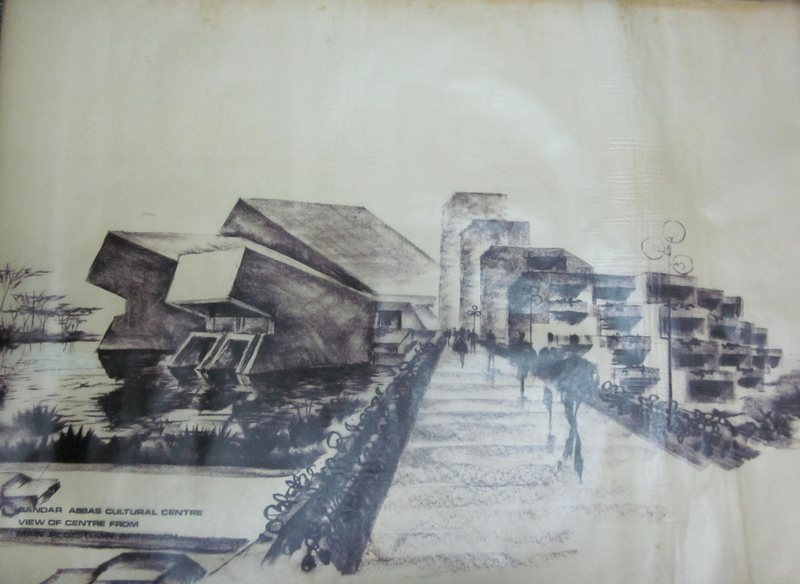 In 2012 over 300 drawings and other artefacts were brought from Alan Vaughan Richards’ home office in Lagos to be digitized and preserved for archiving. In September 2012 a short exhibition showing the work completed in digitizing the first batch of artefacts, and documenting Alan Vaughan-Richards’ career and life in Lagos was presented at the Matthew Gallery at the University of Edinburgh. This digital archive is held in the name of the Vaughan-Richards family in Edinburgh. The Alan Vaughan Richards blog was created as part of this process. At the same time as the exhibition, Candice Keeling from Katholieke Universiteit Leuven documented the condition of the existing house in-situ and created as-built drawings. 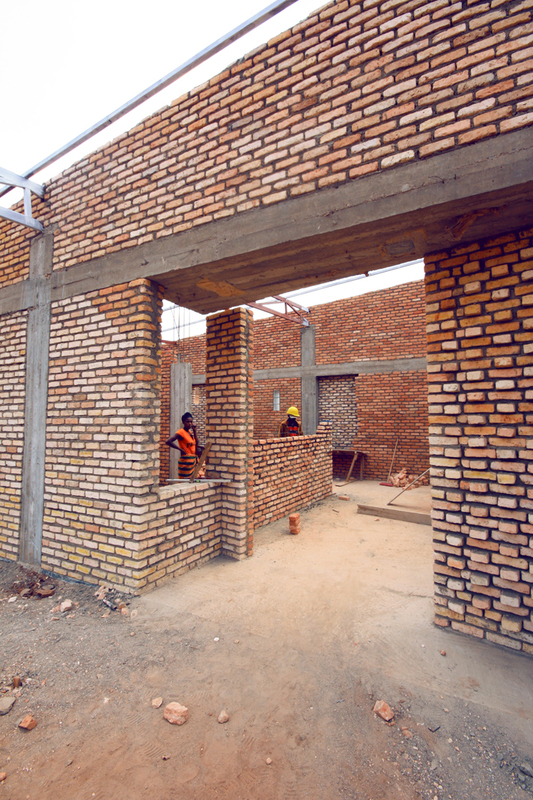 It is hoped in the future to develop the house as an artists’ residence and the home to a physical archive, accessible by appointment to academics and West African architecture enthusiasts. There are ongoing plans for the renovation and redevelopment of the Vaughan-Richards house in Lagos to enable its transformation into the archive and art residency space planned. The project throws a number of challenges. The harshness of the tropical climate has contributed to considerable decay of materials such as carpeting and textiles. The cost of restoring the structure and aesthetic of the house requires the transformation of use of part of the property in ways that will sustain the conservation of its elements and intentions. These challenges will be addressed by ongoing design and research. On a broader note this project is hoped to generate interest in conservation in West Africa, where many other modernist buildings are in need of maintenance, conservation and reappraisal of use. 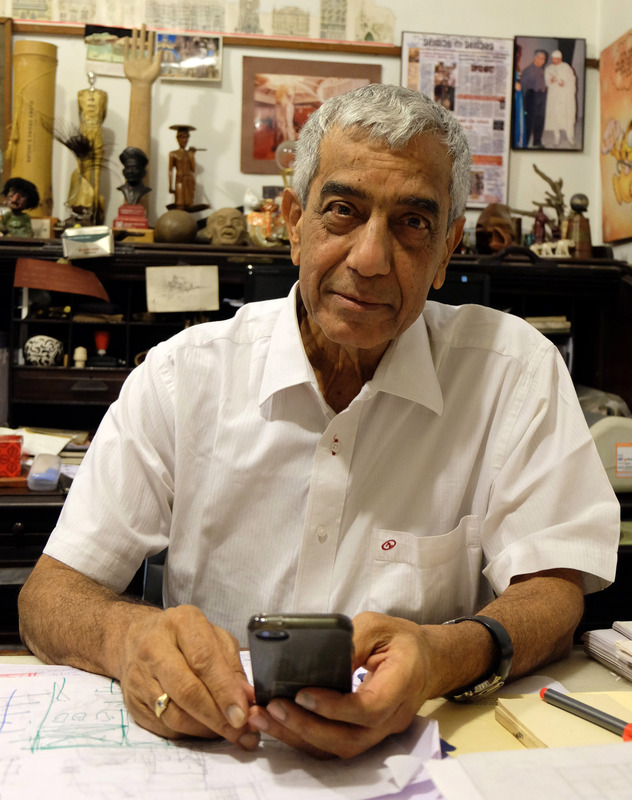 The archival work, residency proposals and related information on the Vaughan-Richards family form the material for an exhibition proposed to coincide with the ArchiAfrika conference in Lagos in December 2013. The project welcomes participation from with researchers and modernist conservation practioners in West Africa, as well as anyone who has further information on the architecture and other work of Alan Vaughan Richards, as a partner in the Architects’ Co-Partnership and later as an architect in Lagos. Permission to publish all images on the blog for educational purposes, has been granted on behalf of the Vaughan-Richards Estate, by his daughter, Remi Vaughan-Richards, a film director, whose feature films and documentaries throw a sharp lens onto contemporary Africa.